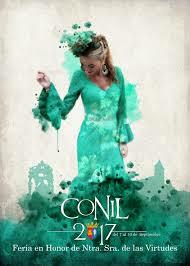 In the coming days will be the fair of Our Lady of Virtues in Conil de la Frontera. It will be from 7 to 10 September, and has a very varied program for all audiences. XVIII Photo competition “Villa de Conil”. 22.00h Official opening of the fair. 23.30h Humor show: “Special Manu Sánchez”. 01.00h Musical group “Calle El Peñón”. Friday, September 8: 9.00 am Announcement of the feast of the patron saint’s day. 12.00 – 18.00 Water festival. 12.00h Besamanos to the Holy Virgin of Virtues. 20.00h Solemn Procession with the Image of Our Patron. 01.30h Group “Super agent 86”. 10.00h Children’s paddle tournament and soccer tournament 7 pre-benjamín. 11.00h Football tournament 7 benjamín. 12.00h Football tournament 7 alevín, beach soccer tournament and gymkhana cyclist. 14.00h Performance by the Orchestra “Cybión”. 15.00h. Party dedicated to women. 22.30h Flemish performance “Shrimp Family 25 anniversary”. 00.00h Performance by the Orchestra “Cybión”. 12.00 – 19.00h Tourist train. 16.00 h Performance Evening of rumbas. 21.00h Flamenco show by Silvia Peña.